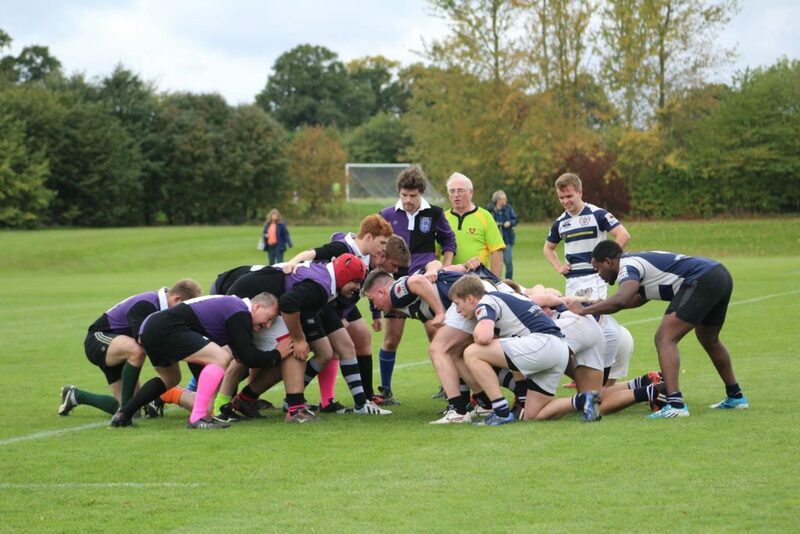 Over the weekend our sponsored team, Leicester Medics Rugby Club, had their first doctor’s match of the year! Around 100 members of staff, family members and students turned up to watch the match and there was around 80 players in total on each team, making it their biggest ever turn out. The match itself was a competitive one, with the students leading the doctors at half time after two tries from Flanker Hugh Lockhart and Outside Centre Milkha Basra. After another couple of tries by LMRC in the second half, the doctors hit back with two tries of their own. The final score was 26-12 to the students! From this year, the match has been named The Mark Sims Memorial Cup in memory of a member of the club who very sadly passed away this year. The trophy was presented by Mark’s parents and they also read an extract from the book Mark wrote before he passed away. After the match there was an open mic night at the clubhouse to celebrate – there were 4 acts in total with some players even displaying their talent! This match is always a highlight for the team, and this year’s event is one that will live long in the memory of those who attended.